Babylon ARTS (operated by ADeC) plan, manage and deliver a wide range of community projects. The Word Garden, has received a National Lottery grant of £49,200 for an exciting heritage project in East Cambridgeshire titled: ‘The Scottish Soldiers, the Ouse Washes; the Origins of Landscape Change in the Fens’ known simply as ‘Origins’. The project, which is supported by Babylon ARTS, will enable approximately 110 young people from the three local schools, to learn more about this little-known historic event, whilst involving people locally in a unique heritage project. Find out more about the project here. We are very proud that our projects have established a number of well supported and much enjoyed groups central to the local arts scene in Ely and beyond. These include Ely Sinfonia (originally ADEC Sinfonia) and Ely Samba Band. 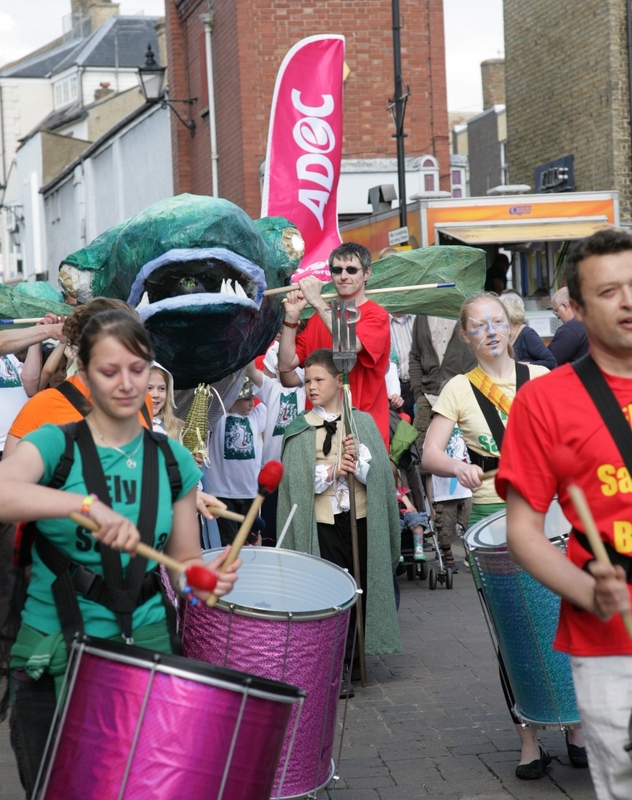 We were also involved in the founding of Ely’s annual Eel Day and over the last ten years have overseen the construction and parading of the carnival Eel. We have supported Ely Folk Festival for 20 years and are onsite each year offering music, crafts and most recently poetry to festival goers. Music has played a significant part in our project work and we have always supported local musicians. In the 1990s this was through ADEC Band Competitions, in the 2000s it was through our regular Electric Eel Nights and more recently through our close relationship with Fenland Jam who promote music making across all ages, abilities and styles. Rap music was a feature of two projects: ‘Beat The Rap’ worked with a number of young people across the region to enable them to work with professional musicians and recording engineers to create and record their own pieces. In 2012 ‘Winning Words’ enabled young people to create a special composition inspired by the ideals of the Olympics. The finished piece ‘All It Takes is Belief’ was performed when the Paralympics flame passed through Ely and its spirit is kept alive through an extract from the lyrics carved into a sculpture outside the Babylon Gallery. Between 2011 and 2013 we developed the YPL recording studios and rehearsal space in Littleport and held 169 workshops, 23 shows, 100 lessons and 90 rehearsals benefiting 144 young people. 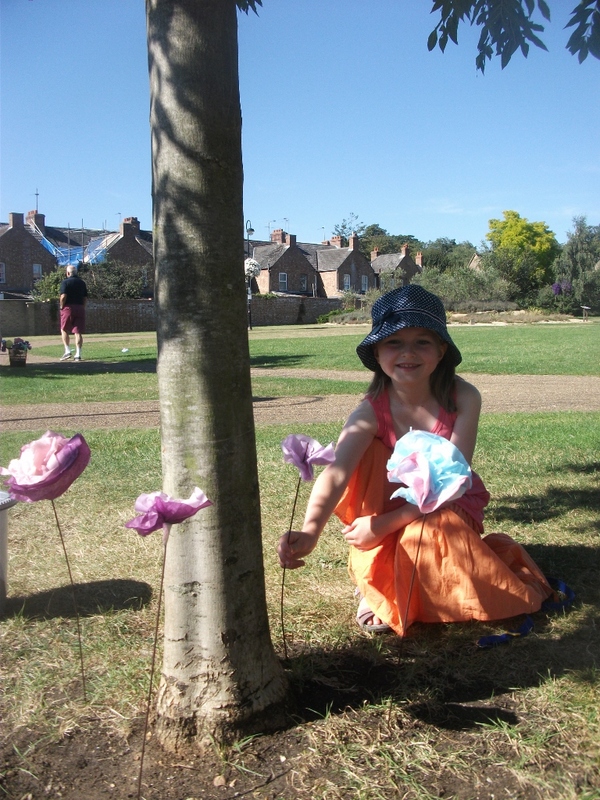 We have created small one off projects such as filling Ely’s Jubilee Gardens with giant flowers; or bringing the community together to create giant drawing in Ely Cathedral. Others have involved hanging hundreds of shirts across Littleport Main Street to celebrate the town’s textile heritage, and rganising a summer programme of dance, music and printing for the pupils of Highfield Special School and their parents. 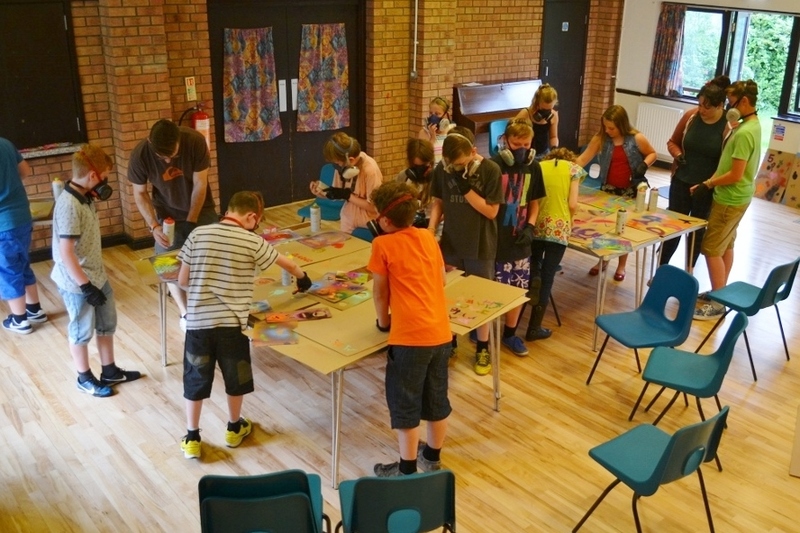 Our project work has also developed arts and cultural activity with 13-19 year olds in Huntingdonshire. We engaged over 500 young people through 149 regular creative workshops which included Graffiti Art, Musical Theatre, Photography, Street Dance, Jewellery Making, Belly Dancing, Beat Boxing, DJ’ing and Film Making. No matter what the scale, we always commit ourselves fully to our communities and welcome the opportunity to share our knowledge, skills and experience to give participants a rewarding, enriching and enjoyable experience. This project has enabled us to change young people’s perception. If they are given the right support they can really shine. …the biggest benefit of working with ADEC is being able to bring in experienced artists to work with our young people: who have discovered a real interest in the arts through participating in the activities. ADEC have been a brilliant partner to work with during my time in St Ives, very supportive and willing to help / answer questions at any time”. Take a look through our website to see news on current projects Babylon ARTS are currently involved with such as Market Place and read our annual reports for more information.